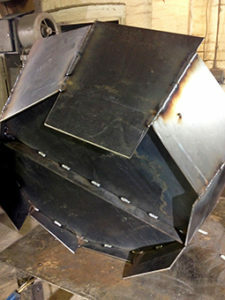 Recent fabrication of Crackle for Farnham in Surrey. 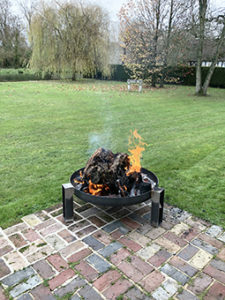 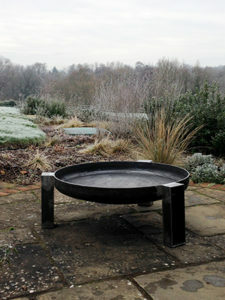 Brazier for the modern garden. 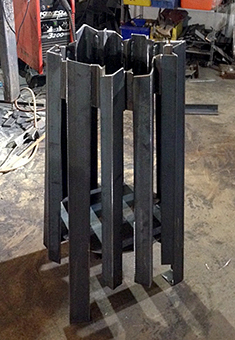 Working on a Brazier for the modern garden. 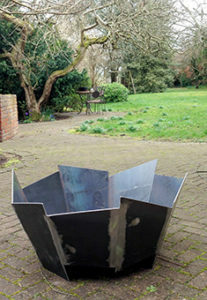 Its about time we made garden braziers in a contemporary style. 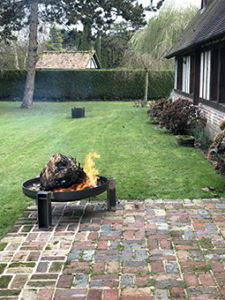 We cant stand the faux Victorian braziers that are generally available. 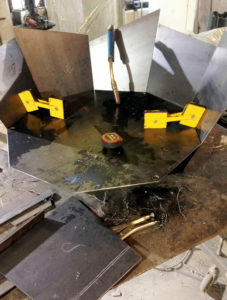 These are mostly from thinner steel and inferior in quality. Our new log brazier will last a lifetime, the replaceable bottom plate will be 8mm thick. 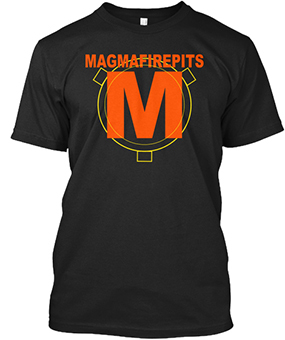 Thinking of names before i put it into the shop!